Most people think that a locksmith is literally a professional break-in artist that get paid and is legal. That’s pretty much the way it goes. When a locksmith catches up with friends comments come out like ‘how’s work going? how’s the daily routine of breaking into things going?’. It’s not a bad thing. It get a good laugh going! But a locksmith does much more than break into things legally. We do a lot actually. Windows, doors, locks, vehicles, , safes and anything to do with general security. A locksmith is just like any other skilled professional. It’s not like the movies and using a credit card to slip open a door. If that was the case the world would be in trouble as nothing would be safe at all. A qualified locksmith will be accredited with the MLA or the UKMLA and it takes years upon years of on the job work experience to be good at your craft. Just like a good carpenter doesn’t just go to carpentry school and create master pieces that would win design awards. Let’s explore a few different major areas that locksmiths specialise in. Most locksmith chose a few areas to focus on and pass on any work they are not focus on to other locksmiths whey trust. For example we focus mainly on commercial and automotive work. General lock replacement, repairs and anything to do with the home for locksmith Bournemouth. Like residential locksmith emergency call outs we pass on to a partner. If you are locked out of your home a residential locksmith is who you wants. That is just one thing they specialise in. If you need locks dealt with on your doors or windows they can help also. Be it new lock installations or even replacements. A good residential locksmith will be able to re-key a lock quite fast. Depending on the depth of the work they deal with they might even be able to help with garage security and security systems. 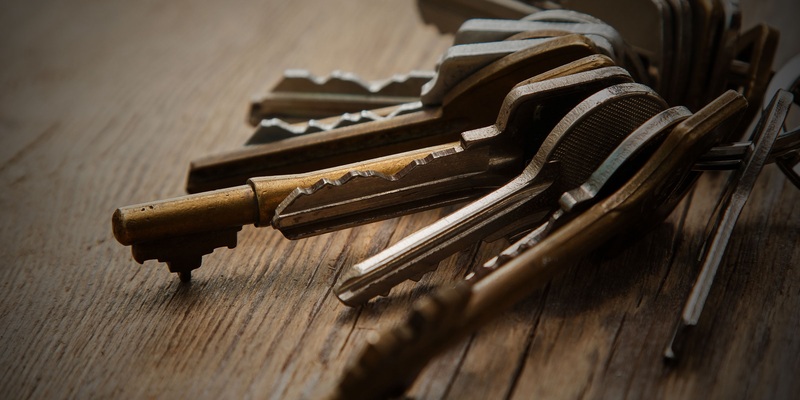 A commercial locksmith deals with businesses. Every business needs the services of a commercial locksmith. If it’s for initial lock installations when a new business is moving in or if it’s different security measures for a business that needs to keep sensitive areas of a workplace secure like a document room. Or storage areas that needs heavy duty dead bolt doors. Even the windows. A window is a target for a break-in with a business so it’s important to have them secured. A automotive locksmith get you back into your car. A good one gets you back in quite fast! 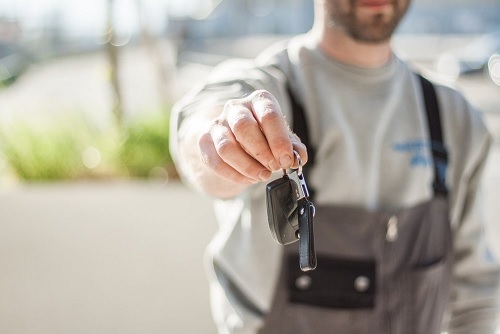 If you’re locked out of your car or you have lost your keys and need to get back into the car so it can be towed then you need an automotive locksmith. A few other things an automotive locksmith does is the repair of electronic key fob remotes and the reprogramming of transponder a key. The other things that locksmiths can deal with are things like cutting keys, getting into old safes, repairing them, installing them. Some locksmiths also deal with security system installations and general home or commercial security advice. So as you can see a locksmith is not just a professional ‘cat burglar’. We actually do a lot of different things! What do you do when locked out? What should you do when you are locked out of your home? The first thought that runs through you head might not exactly be a ‘G’ rated on but after that has passed here are the steps you should follow. Step #1 – Don’t panic. Do you have a spare key? Most people keep a spare key hidden somewhere in their car or hidden somewhere in the garden. Do you have a spare key somewhere? Step #2 – Try and retrace your steps if you didn’t go far. Did you got to the store? The service station to get petrol? A friends house? Call who you can or drive back where you came from and ask if anything was handed in and also look around. Step #3 – Who did you give a spare key to? Do you have flatmates you could get a key from? Family? Friends? Neighbor? Partner? Step #4 – It’s a long shot and this should really be #1. Try the door. Maybe you forgot to lock it in the first place. If not, and likely not, look for a window that might be cracked open a little you can climb in through. Step #5 – Don’t pick the lock yourself. It’s not like the movies. You can’t just open a locked door with a credit card in 10 seconds or so. Lock picking is more of an art that needs special tools. If you try to pick the lock or use a card you’re very likely to damage the card, the lock or something else. Step #6 – Call a locksmith. This is really the best bet if you had no luck with anything else. The other option could be to smash a window. But then you will have a broken window that will need fixing. That is going to cost a lot more compared to having a locksmith called out. Have you ever wondered how to actually pick a lock? Well here is a great video on the topic. It’s about 20 minutes long and actually quite informative. Of if you’d rather read this is a great guide on how to pick a lock. You could spend the next one week going through this guide. It’s that detailed! We are quite different! We like to give out free information in the form of our blog. We don’t have a fancy website that details everything we do. What we do is simple. We get you back into your home. And we also offer general security advice and non-emergency locksmith services like lock replacements and lock repairs. If you are in need of our services call 01202 518971. We pick up 24/7 for emergency situations. If not fell free to enjoy reading our blog! We are a locksmith company in Bournemouth. We have been helping residents and businesses with locksmith services for the better part of two decades. If you need emergency locksmith services or general locksmith services such as lock installation, repair, replacement or security advice. We are the go to company in Bournemouth. Call us on 01202 518971. We are open 24/7 even on Christmas and New Years! If you are locked out right now don’t hesitate to call us on 01202 518971.